Dubai is one of the wealthiest cities in the world and it is located in United Arab Emirates. The city used to be a booming oil town but when the oil wells began to dry up the city refocused its economy on tourism. 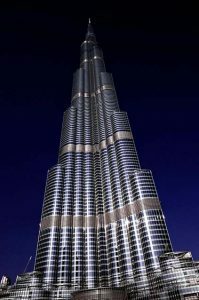 If you are looking for a breath-taking and awe-inspiring holiday, then Dubai is the place to go. It is well worth a visit, and there really is something for everyone. 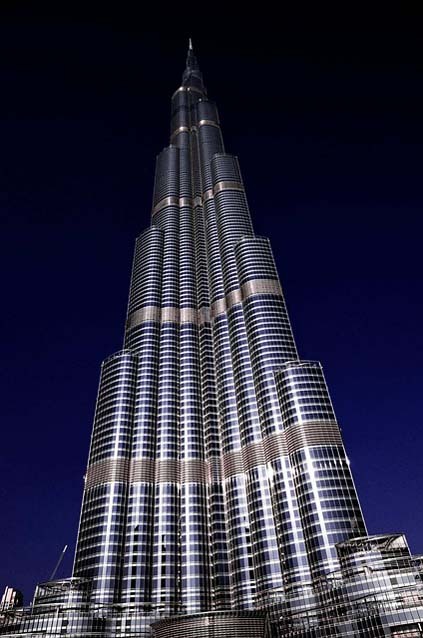 The Burj Khalifa is 829.8 metres tall and it is the world’s tallest tower. The building is made up of a mixture of hotel space, commercial space, and residential space. Travel to the 148th floor where you can get a bird’s eye view of the city from the observation deck. There is also a 27 acre park for you to explore and an awe inspiring fountain at the base of the building that was created to entertain visitors with its coloured lights and music. Hop into a majestic hot air balloon ride for a trip over the desert. The best time to go is at sunrise so that you can see the colours change as you travel over camel herds, canyons, oases, and windswept dunes. 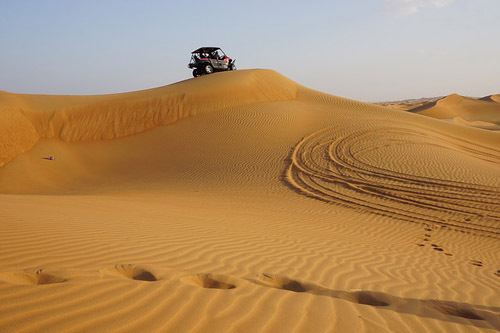 You can also journey to the desert by driving a luxury car like a Ferrari or a Porsche. If you don’t want to drive you can sit in a luxury 4-wheel drive vehicle and let someone else take all of the responsibility. You can view wild animals like herds of gazelles, onyx, and wild camels as you travel through the desert. Be sure to ride a camel and stop for a meal in a luxury tent in the middle of the desert. Engineers were hired to build islands off the coast and you can travel by boat to see these wondrous feats of engineering. You can hire many different sizes of boats and you can go on a personal trip or join a large party tour. Dubai has some first class golf resorts that are designed by world class designers. They offer challenging courses with spectacular scenery and exciting hazards. There are also clubhouses with pools and other great facilities to entertain those in your party that don’t want to play. In additional to the incredible sights and experiences you can have in Dubai, the variety and quality of the food will blow you away! It doesn’t matter what you are hungry for you will find it here. World class chefs from all over the world have opened restaurants in the city. You can stop at a pub for a quick bite to eat, buy food from stalls on the street, get a table with a view, or sample a fine dining experience in a 7 star hotel. This city is known for its shopping. You can splash out on the latest couture, or pick up trendy clothing at bargain prices. There are sixty malls, which feature hundreds of stores to browse through. You may end up having to buy a second suitcase to take it all home with you! In fact, it’s worth mentioning that it will save you a lot of time and hassle if you arrange your transfers from Dubai Airport in advance. Dubai is also a great place to pick up a used Porsche, Ferrari, or Lamborghini, so you will just have to figure out how to ship it home!